George Kurian was born and raised in Kerala, India. He received his Bachelor of Arts and Bachelor of Teaching degrees in India, and then went to teach in the state of Manipur, India. There he became the head of a junior high school during the time of the Naga rebellion. 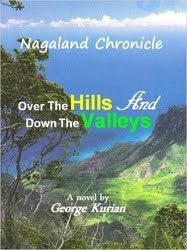 Soon after he went to Nagaland state and became the Headmaster of a middle school run by the Indian government. 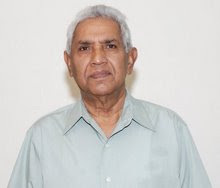 George married in 1970 in New Delhi, India. He and his wife immigrated to the United States in 1971 and have resided there ever since. They have three grown children and five grandchildren. George was always known as a loving husband, father, grandfather, and friend. He greeted everyone he met with his warm smile and often shared stories of his life in Nagaland, world history, or the future of science. George was diagnosed with a rare form of cancer in November 2014. He fought the toughest battle of his life with no complaint and a fierce belief of recovery. On June 15th, George passed away at home surrounded by his family. George began this blog at the age of 70 knowing very little about computers and the Internet. He taught himself many things and reached out for help when he needed. In his memory, his family and friends wish to continue his legacy. Watermark theme. Theme images by duncan1890. Powered by Blogger.